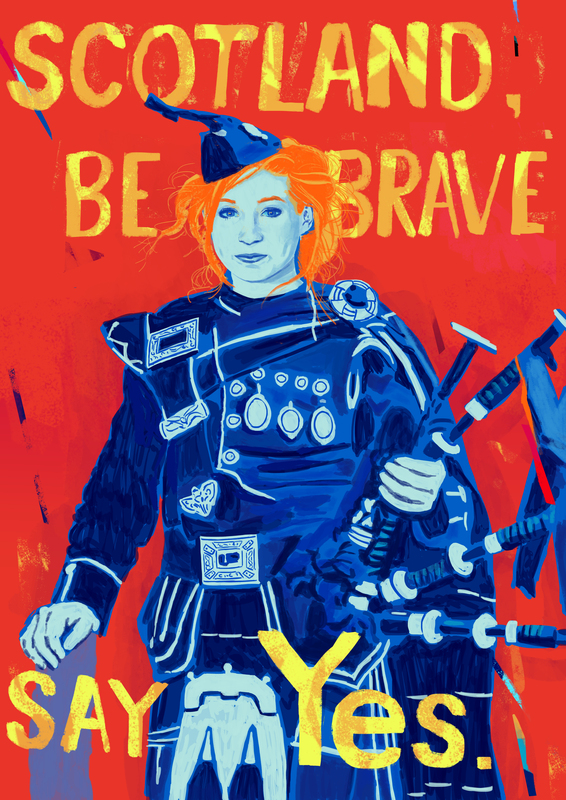 For those who missed it the first time – by popular demand – for £8 only (including postage) we have a limited number of Ciaran Murphy’s poster available as a celebration of the Yes movement or a momento of the 2014 campaign. Simply go here and pay by Paypal or transfer £8 marked ‘Brave’. Thanks. How long should delivery take? I ordered one (followed the instructions and everything) last week.